Bone Dry Roofing can install seamless aluminum gutters in a variety of colors and styles to meet your needs and budget. Contact us today for a free estimate of seamless aluminum gutter installation throughout the Greater Columbus area! 4. Down the drain. Downspouts are assembled from elbows and straight sections then screwed to the gutter drop outlets and to the wall of the house. Want to have your home inspected to find out if aluminum gutters are right for your home? Call Bone Dry Roofing at 1-844-385-9722 or contact us online for a gutter installation estimate. We will also inspect your gutters as part of our roof inspection. 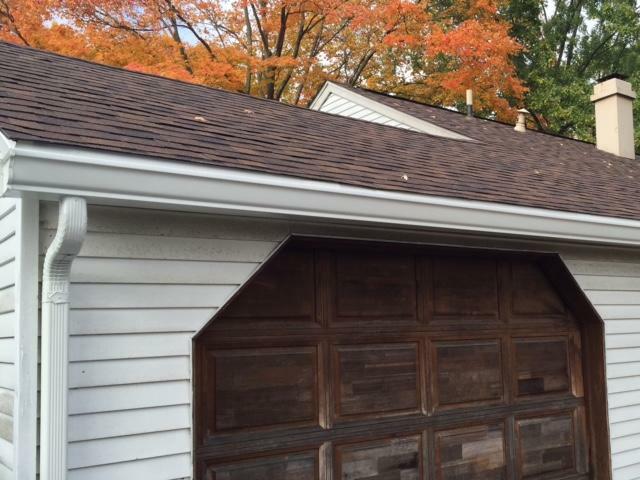 We provide quality roofing services to Greater Columbus residents. We specialize in solutions to meet all of your roofing needs, including roof repair and replacement in Hilliard, Columbus, Dublin, Newark, Lancaster, Grove City, Westerville, Delaware, Pickerington, Reynoldsburg and surrounding areas.